Mukund Mehta joined Caltex Oil Company in Bombay, India, in 1964 and joined the company’s headquarters New York in 1971. 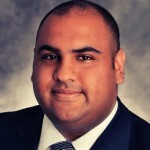 He has an MBA, CPA and JD from Fordham University and LLM from NYU, NY. Mr. Mehta is a member of American Institute of Certified Public Accountants and a Member of New York, New Jersey and Connecticut Law Bars. He has been Moot Court Judge at NYU School of Law for last 20 years, and now serves the South Asian community and advocates for senior causes as President of Indo-American Senior Citizens Center of New York, Inc. which is celebrating its 20th Anniversary. Ali Najmi is an attorney in private practice focusing on criminal defense and personal injury. Politically active, Mr. Najmi, has succeeded in increasing the political involvement of the South Asian community. Starting in 2010, he was Council Member David Weprin’s Legislative director for two years. In 2015 Mr. Najmi ran for City Council and was endorsed by the New York Times. Mr. Najmi has been an early supporter of India Home and continues to advocate for more resources for immigrant senior programs and issues. Dr. Sood graduated from NYU (New York University) College of Dentistry where he was in the Honors program in Prosthodontics, being among only Six that were chosen from a class of 350 students. He started his private practice right after Graduation in Jackson Heights and has been there for the past 20+ years, even as he has grown his practice to other areas of New York. He lives with his wife who is a Board Certified Psychiatrist and son Sandeep who has just begun 1st Grade. Neetu Jain is a CA, CWA from India and a NYS licensed CPA. 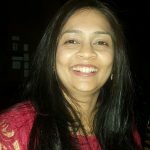 She runs her private tax and accounting practice with her husband and partner Hemant Jain CPA. Ms. Jain is not only an enterprising business owner but also a dynamic member of the community and has volunteered with a range of organizations including India Home, Jain temple, Herricks school committees, Black Women Enterprises, Long Island Development Corporation, Young Indian Cultural Group, and the talent night group. She has actively supported India Home right from inception – be it brain storming current issues or future plans, meeting consultants, fundraising, accounting and taxation etc. 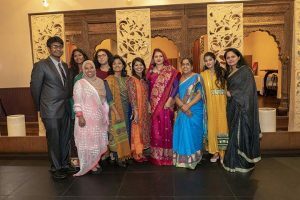 With her appetite to serve the community and her professional and personal capabilities, she continues to contribute to the mission and vision of India Home. Jaya Bahadkar earned her B.S. in Public Health Nursing in Delhi. She received her Operating Room training at Sloan Kettering in New York and went on to work in various hospitals and nursing homes in the New York area, serving as supervisor at Little Neck Nursing Home. The passion Jaya brought to her career in nursing comes through in her community service as well. Over the past 25 years, she has played key roles in various organizations. She is the Cultural Chair of the Indian Association of Long Island and Cultural Chair for the Indian American Forum and the South Asian American Political Committee. She continues to work with seniors through India Home and is also Vice President of the National Indo-American Association for Senior Citizens.